Slamming the opposition Congress, Mr Shah said "Rahul Baba''s party ruled the country for 70 years, but could not eradicate poverty." 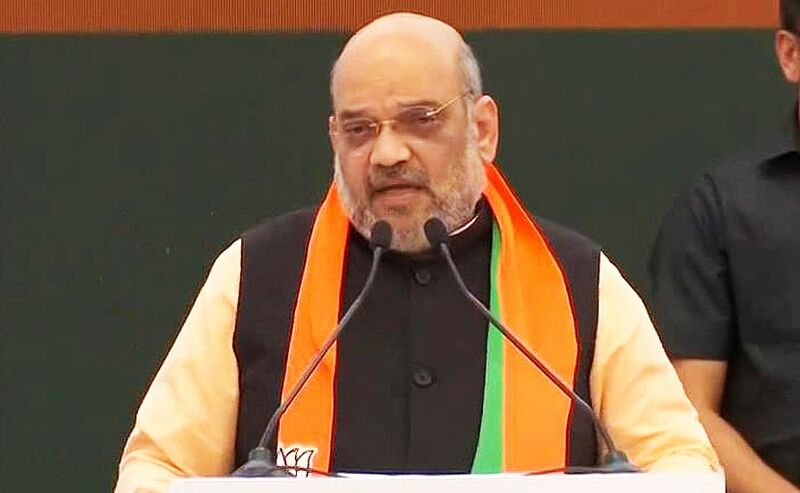 Hitting out at the BJD government in Odisha, BJP president Amit Shah said on Friday the state is rich in natural resources, but its people continue to remain poor under the Naveen Patnaik-government. Addressing a rally in Keonjhar, Mr Shah said the BJD rule in the state was marked by misrule and corruption. Taking a jibe at the chief minister, Mr Shah said, "Even after 19 years of rule in Odisha, Naveen (Patnaik) babu cannot talk to his people in Odia." He asserted that people across the country are raising slogans in favour of the BJP. "From Kashmir to Kanyakumari, from Odisha to Gujarat, people are raising slogans in favour of Narendra Modi. We can hear Modi... Modi... chants everywhere," Mr Shah said. Sharing his plans for the tribal-dominated district, the BJP chief said a steel plant will be set up here if the the BJP is re-elected to power at the Centre. "Under District Mineral Fund, Rs 1600 crore has been allocated to this district. If the BJP is voted to power again, all forest produces will be procured from the tribals at Minimum Support Price (MSP) and no GST will be levied on tendu leaves," Mr Shah added.